The Legends of Curling Honour Roll eternalizes the memory of those who have brought honour and distinction to curling in Saskatchewan. It is the intention of the Legends Committee to honour the talents of Saskatchewan’s curling athletes and builders of the game as well as outstanding supporters and local legends. All facets of the Province’s Official Sport are eligible for recognition. 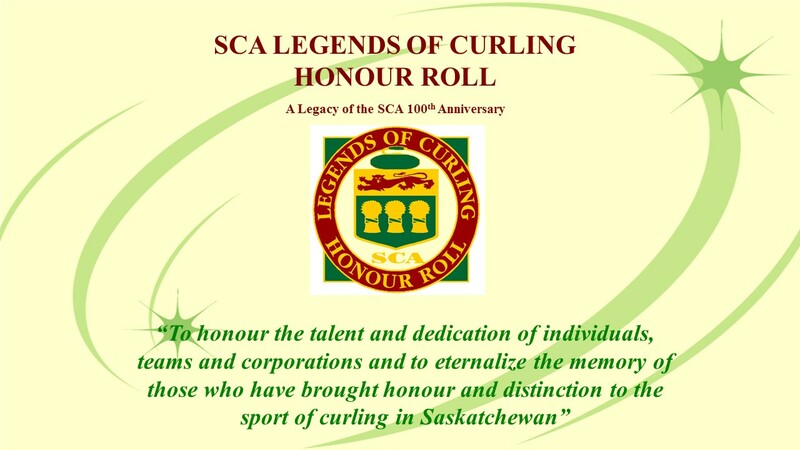 In 2004, the inaugural year of the Legends Committee, all Saskatchewan’s curling teams that have won a national title were inducted to launch the Honour Roll. Following that year, all teams that win a national title are automatically inducted. The Legends Committee, a volunteer group of Past Presidents of the Saskatchewan Curling Association (SCA)/Saskatchewan Ladies Curling Association (SLCA), meet twice a year to determine the Legends of Curling inductees and help to coordinate the CURLSASK Awards Program. 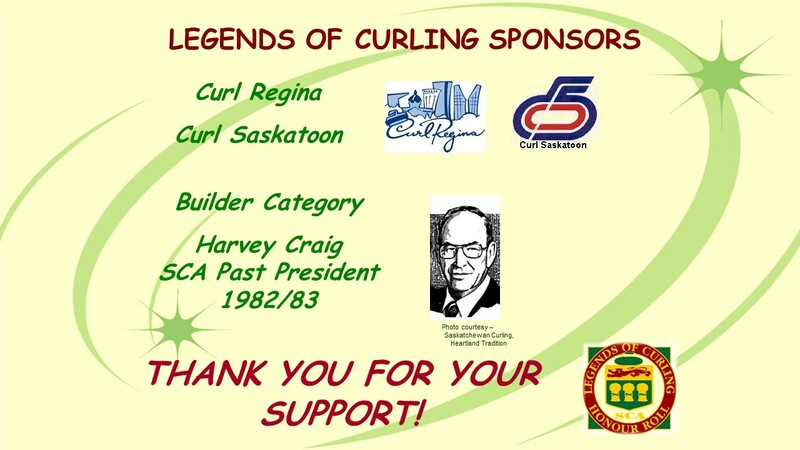 Each year the Committee helps to organize the CURLSASK Annual Gala Awards Evening.